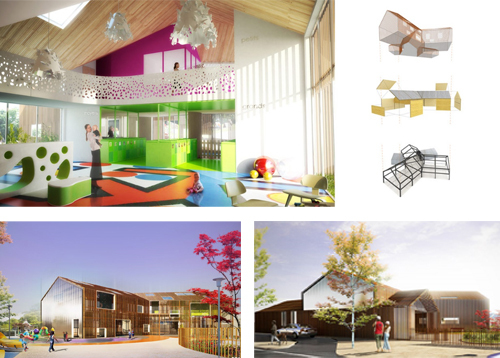 | Passionately promoting excellence in the environments designed for early childhood. 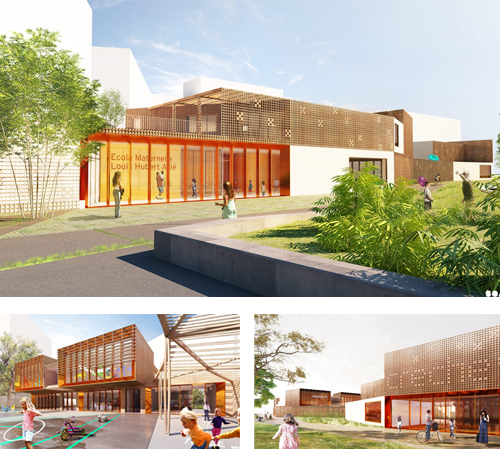 It is AEC’s belief that a child’s early learning and growth is best achieved when the environmental conditions are right – which goes to say the architecture plays a pivotal role. We (as a society) need an architecture that says: ‘We believe in these children!’ as it is these very children who will one day be our future – so lets give them the very best start in life.. This is a personal blog. Any views or opinions represented in this blog are personal and belong solely to the blog owner and do not represent those of people, institutions or organizations that the owner may or may not be associated with in professional or personal capacity, unless explicitly stated. All content provided on this blog is for informational purposes only. The owner of this blog makes no representations as to the accuracy or completeness of any information on this site or found by following any link on this site. The owner will not be liable for any errors or omissions in this information nor for the availability of this information. The owner will not be liable for any losses, injuries, or damages from the display or use of this information. Kids now needing to hit the gym? 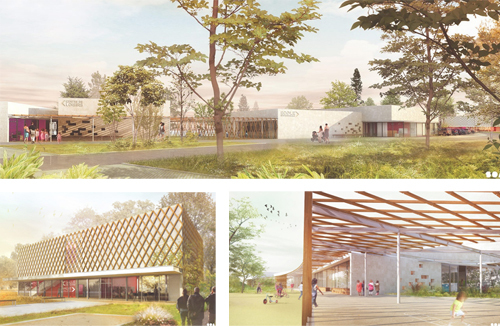 This multi-care facility and games library - Maison De L'Enfance or the Gavroche Centre for Children designed by SOA Architectes in Saint Ouen, France merges in with the site's contextual surroundings and creates a place for social interaction and shared community public spaces. 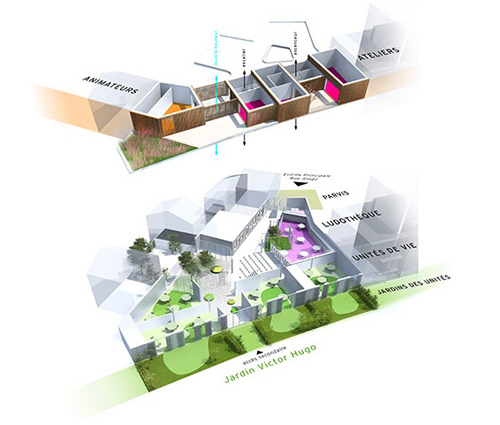 The building is part of a wider urban development scheme situated around the Victor Hugo Garden. The centre is a place for educational leisure - where children and adolescents are able to develop their unique individualities through collective games and workshops. The building's functional organisation evolved around the central hall - which is the focal point of the centre, which is entirely open to the public (like a street). The staggered timber boxes create a number of outdoor terraces, and flexible orange screens mediate the amount of sunlight allowed to penetrate the interior space. Colour is used inside to separate the interior 'zones'. Open spaces and light wells - offern natural ventilation and lighting and transparency between the spaces. 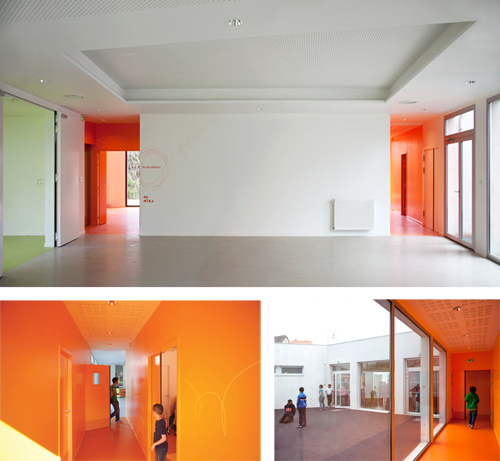 The circulation space is defined by the use of the colour orange - which enables easy orientation throughout the building. Rendered axonometric showing the buildings plan and layout. Nature has been considered and integrated into the buildings spatial layout - creating a dialogue between the inside and out. 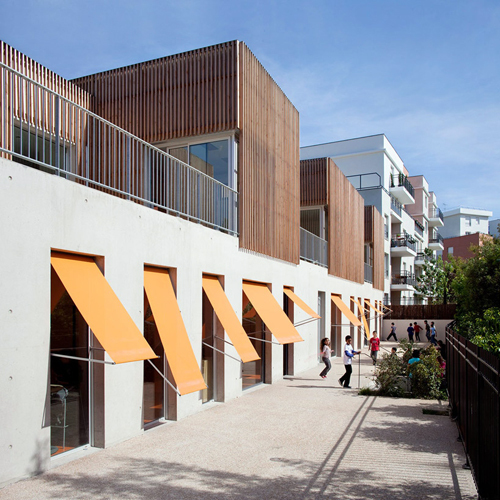 Nanterre School designed in 2010 and located in Sainte Genevieve, Nanterre - 15 class school and children's leisure centre. 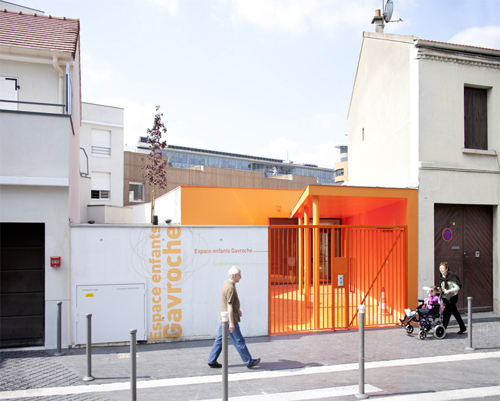 Crèche and nursery school extension in Krüger, Rue de Colombes, deisgned in 2012. School and Children's Leisure Centre designed in 2010 and located in Saint-Pierre-Les-Nemours including a nursery school, canteen, leisure centre, club house, landscaped playground and town hall. All designs are environmentally conscious - and use both natural materials - concrete and wood and artificially composite materials introducing colour deliberately to space to further enhance it's characteristics.